It was strange, because the normal approach we take with real estate agents is to write a book that gives lots of tips on how to buy and sell your home. That makes the book useful to readers, and helps them understand that the agent really knows his stuff. 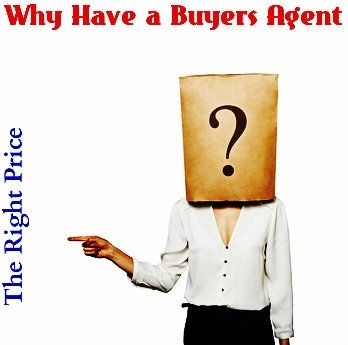 Amidst the standard advice, one inserts some anecdotes from the agent’s past experience, to show how he has come to the rescue, achieved a higher sales price for the seller on one occasion and bargained the seller down for the buyer on another. Mark Jenson wanted none of that. He wanted something focusing strictly on himself. He wanted to build a relationship with potential clients. Sure, the anecdotes in the book were all real estate related, so they clearly demonstrated his expertise. But would the unorthodox approach work? Let’s not forget that it really takes only one or two extra sales for a book to hit positive ROI. While direct cause and effect cannot always be drawn from a marketing tool to a listing, it does appear that Mark has already broken even and made some money from the book. But why did his approach work? And did it work any better than the more orthodox approach. 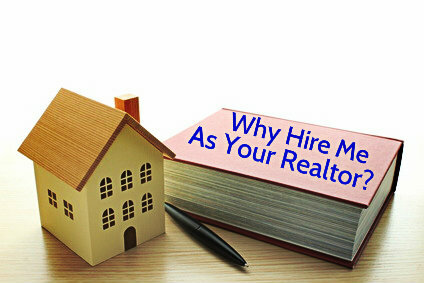 First and foremost, it worked because a real estate agent can always distinguish himself or herself in the market as an authority by becoming a “published author”. As long as the book is about real estate, an agent’s face and name on the cover simply says “expert” and “authority” and “trust me” with a credibility that no business card will ever convey. The business card says: I am a real estate agent. The book says: I am THE real estate agent. In that respect, the approach made no difference. Second, Mark has been in real estate for over a decade, so he has some stories to tell. Stories always make for a better read than how-to tips,. On the other hand, how-to tips are more useful, especially if someone is about to buy or sell something as important as a home. I don’t think we’ll ever know which got read more, nor am I convinced that matters. Mark’s strategy was simple. When a new owner takes possession of a home, he leaves a bouquet of flowers and three copies of his book, autographed, in with the new owners. The new owners move in, meet the neighbors, show their friends and family around, talk about the agent (“An amazing agent. Have you seen his book?”) And the word spreads. This strategy varies from the typical agent’s book marketing strategy, where an agent might hand a book out to everyone who walks into his office. Another standard tactic is to send a copy of the book to the local media, along with a note: “If ever you need someone to comment on real estate in this town, I am sure I can help you.” I have no idea if Mark did this. Sometimes it works, sometimes it doesn’t. The weekly real estate section in most big city newspapers needs content – interesting articles to offset the pages and pages of listings. They aren’t fooling anyone; the section is an advertising tool, not a part of the “newspaper”. But they like to put content, and a review of a new and local real estate book can be a refreshing change. More importantly, if they need comments on house prices or mortgage rates, they now have another source that they might turn to for a quote. Not every agent is well-placed to follow Mark’s strategy. Not every agent has a dozen years under his belt. A newer agent who wants to distinguish himself with a book, is probably better placed to go the conventional route, dispensing solid advice and showing that he knows what he is talking about..
At this point, you might be wondering whether book marketing should replace billboards and benches and other signage. The short answer is, no. Billboards and similar advertising have one goal and one goal only – to keep an agent top of mind, so that when the time comes to sell, people will pick that agent. It’s all about name recognition. So where does a book come in? The answer: anywhere there is a heated battle for name recognition, and several names are recognized. 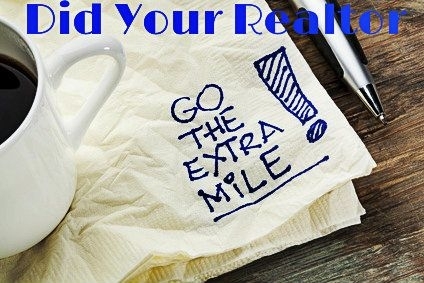 In those communities, having name recognition and being seen as authority on real estate gives an agent the edge. So which works better, Mark’s approach or a more conventional how-to real estate book? I have no idea, and I am sure I will never know. But you probably do know, because you know your market and you know how you relate to people. That is likely the secret to success, and what Mark Jenson intuitively understood. If you want to distinguish yourself with a book, just make sure it will fit your personality and your marketing style, and I don’t think you can lose. David Leonhardt runs a global team of writers through The Happy Guy Marketing. His team helps entrepreneurs, including real estate agents and mortgage brokers, write their business books. They help other people write their biographies and novels and screenplays. This is right out of the Jay Abraham book of strategy. I think it is page one. Jay is the self proclaimed guru on all things marketing and while his position is defendable in many respects his style is consistent and persistent. He has used this very strategy to build many businesses, it is not a surprise some agent picked up on it.